An RT team witnessed harrowing pictures as it visited the hospital in Syria, where wounded and the bodies of victims were taken after the fatal shelling of western Aleppo by the terrorists on Friday. “Some of the things we saw were heart-wrenching even by Aleppo standards,” RT's Murad Gazdiev reported from the Syrian city, which remains divided between the government forces and the militants. “One man, injured by shrapnel himself, was hunkered down, rocking back and forth, clutching his two-year-old son, who had been killed and was wrapped in blankets,” he said. 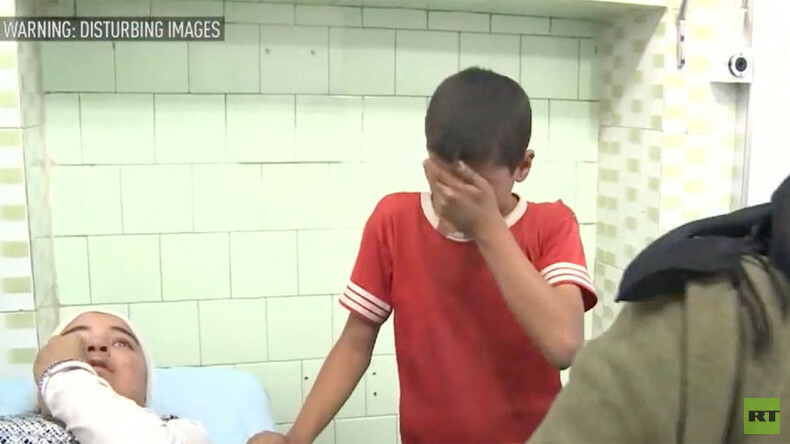 “We saw four children huddled and crying over the corpse of their mother. There was screaming and shouting in the corridors,” added Gazdiev. He said the medical facilities in the city were quickly flooded by the victims and the Aleppo University Hospital was so crowded, it was hard for RT’s crew to move about. “Paramedics rushed the new arrivals to emergency room where they had to wait for the doctors to finish with patients already there,” Gazdiev said. Six civilians, including a two-year-old child, were killed and 75 were injured in the shelling of the Bustan al-Qasr neighborhood. 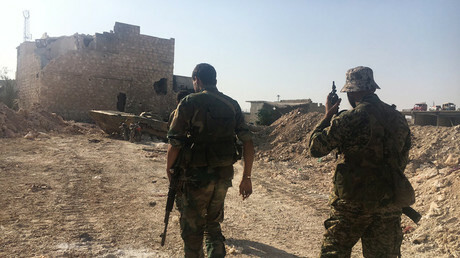 “Jabhat al-Nusra, al-Qaeda’s affiliate in Syria, launched a major attack against the Syrian army just after midnight, in an apparent attempt to link up with Islamists outside the city,” Gazdiev said. The militants “used the moratorium on Russian and Syrian combat flights” and attempted to break out of eastern Aleppo, the Chief of Operations at the Russian General Staff, Lieutenant-General Sergey Rudskoy, said Friday. The attack was carried out with support of 20 tanks and 15 armored personnel carriers (APC) , accompanied by heavy fire from rocket launchers and artillery. The offensive was repelled by the Syrian forces, with the terrorists losing six tanks and five APCs, Rudskoy said.